On Saturday December 19th, what started off as a small thought became a reality. Many months ago, the thought to be a help to college students floated in my mind. Its always been my desire to share my story, my experiences with others who may have or are currently experiencing the very things I have. Not only sharing, but I want to be in a place where I can be able to help others through those difficulties. There’s power in coming together with others. When you realize your purpose is bigger than you, you’re able to see when you have to link up with others to fulfill the purpose and vision that has been placed inside of you. Just a quick backstory: As we closely approached our one year anniversary, I thought that it would be a perfect way to celebrate by raising money to help college students with their financial obligations. A gofundme account was created, a goal was set, and it was promoted through social media and via personal connections. Although some donated, the campaign didn’t do well at all. I attempted to seek out a space for an event, but it was too close to the date. August came and went, and booking a space to plan an event just didn’t work out. I however, knew that I couldn’t stop there. I decided, before the year was out, a scholarship award would be given out. With a date in mind, I said to myself “this is going to happen.” No space booked, without enough funds, with no idea what would take place, and not knowing how it will all come together. But something in me wanted to make this happen. Three weeks before the event, I took a leap of pure faith, and announced a save the date. I was able to book a space. A few days later, I received a call and my space was no longer available. I refused to make an announcement that it was canceled or postponed. After many calls, and some direction, we were able to secure a space. And from there, the pieces began to come together. And I’m forever grateful to those who played an intricate part of the success of this event. Even when things didn’t look good, it turned out well. Even without big numbers, we successfully completed what we set out to do. 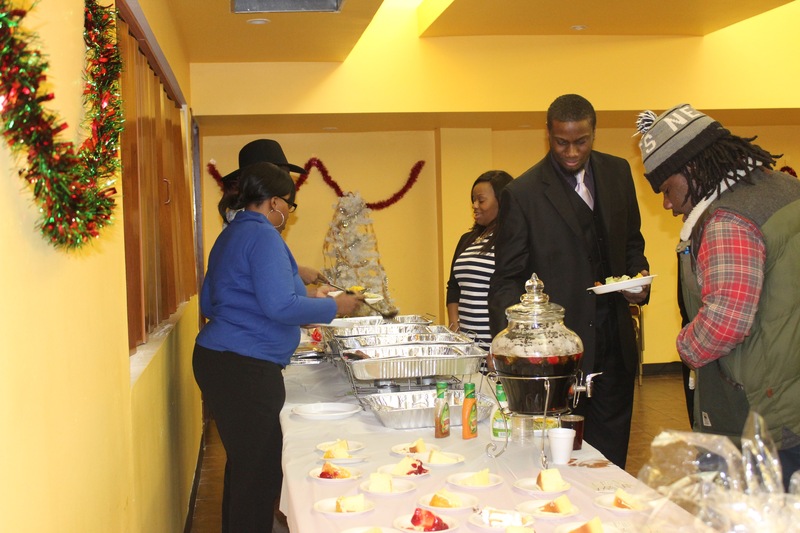 The brunch was catered by Nathalia’s Catering & Events; and served by Christina Jones and Katrell Taylor. Our dessert sponsor was My Sweet Justice of Harlem. 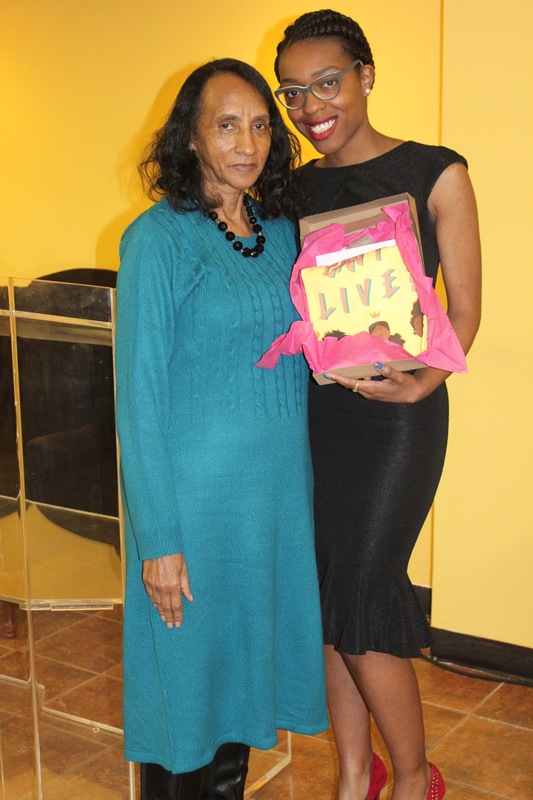 During the event, we surprisingly honored a very special educator, Arlene Pearson. 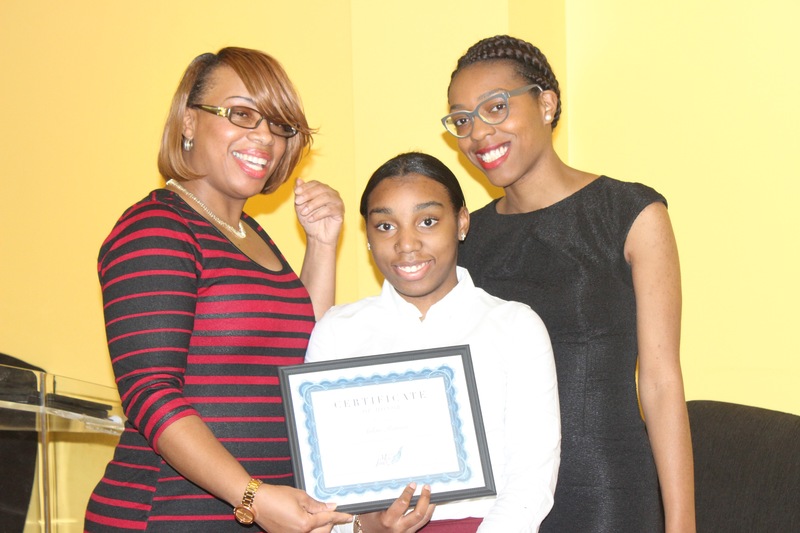 Her daughter, Destiny, presented her with the award. Arlene has been working within the NY public schools for over fifteen years. She also works with the Girl Scouts organization. She continuously supports Lovely Miss Jones, and has always been an encouragement. As we honored and awarded those who are pursuing education, it was only right that we honor someone who pushes our young people towards positive change and education. She plays a huge part in the lives of those who want to continue their education to reach their goals. 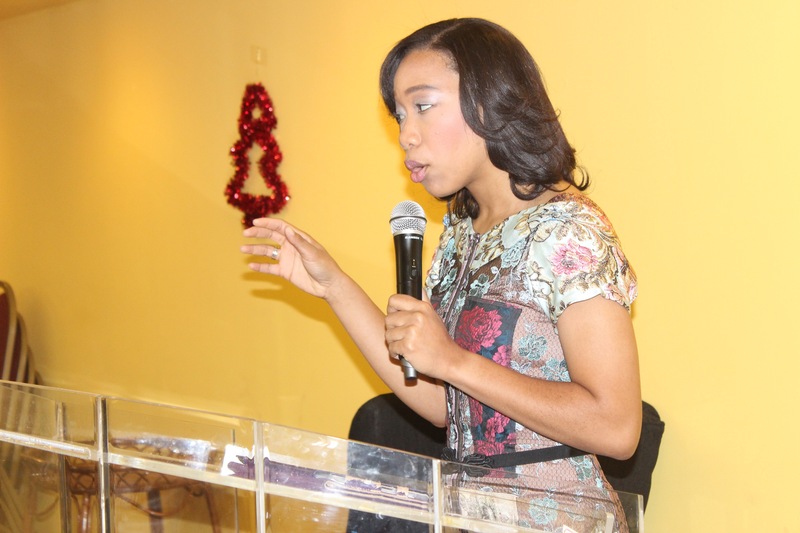 Our speaker, who is currently a counselor at Fordham University, minister and youth president at The Kingdom Life Chapel, and has obtained a BS and MS; Shana Eutsay came and encouraged the audience. Being one who is heavily invested in the youth of today, she was able to show us the product of education and where it can lead you. She was able to encourage the young people, through her experience, to never give up and to continue to pursue their dreams. Shana let them know that no one can take away what was places inside of them; their greatness, what they’ve learned, and what they’ve earned. One of the parents in attendance raved about how beneficial it was for her daughter, who is now a high school senior. 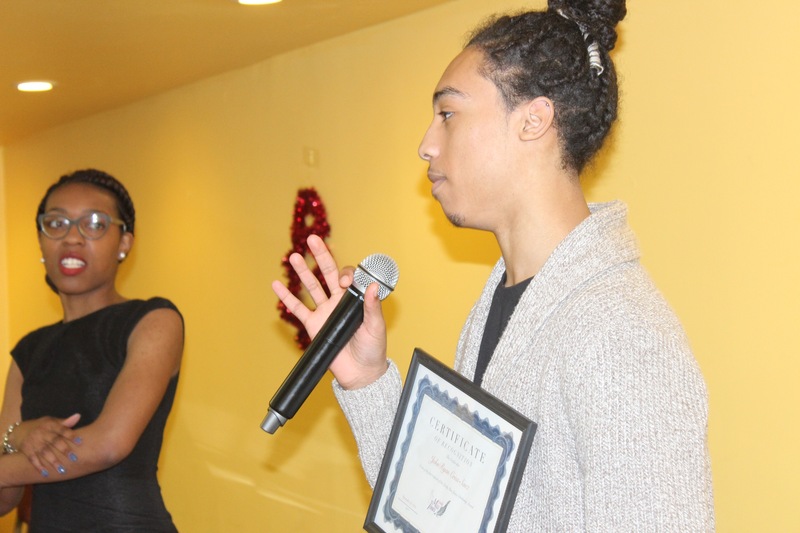 Towards the end of the event, the scholarship winners were announced. There were four judges: Kelita Jones, Thomas Knox, Terrell Roby, and Joshua Canion. The judges have no personal connection with the four students that submitted essays. The judges read their essays, which explained why they deserved to win the award, and were chosen based on the content. These essays were amazing, and we are extremely proud of these young people who are chasing their dreams regardless of what they’ve been through. They have experienced difficult times, but they’ve pushed themselves because they know that there’s something greater. As previously announced, our first place winner who currently attends Dominican College, is JohnRyan Criss-Saez. And second place, who currently attends York College, is Sherqwanna Laws. Third and fourth place, Crystal Coakley (Monroe College) and Jasmyne Humphrey (Buffalo State); who were not in attendance. We commend all of these students for pushing past their difficulties and going in the direction of success. 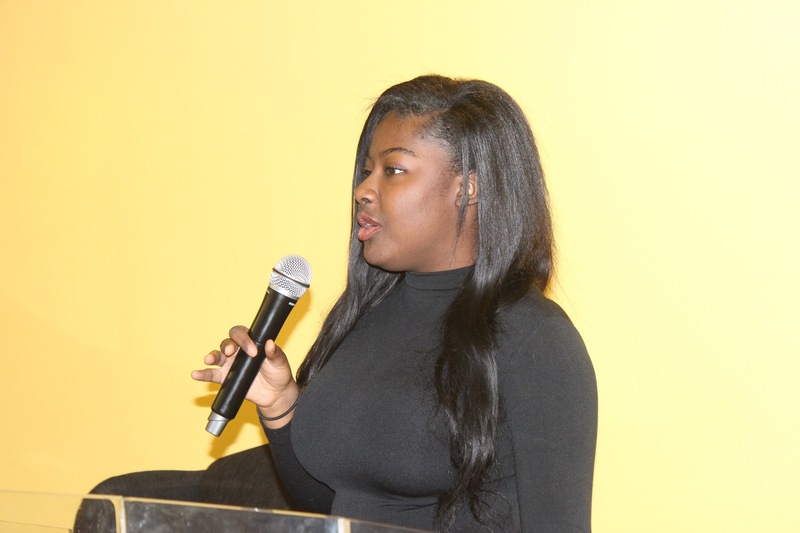 These college students were given an opportunity to share a little bit of their story and what they wish to accomplish. We were able to give away raffle prizes from amazing sponsors. 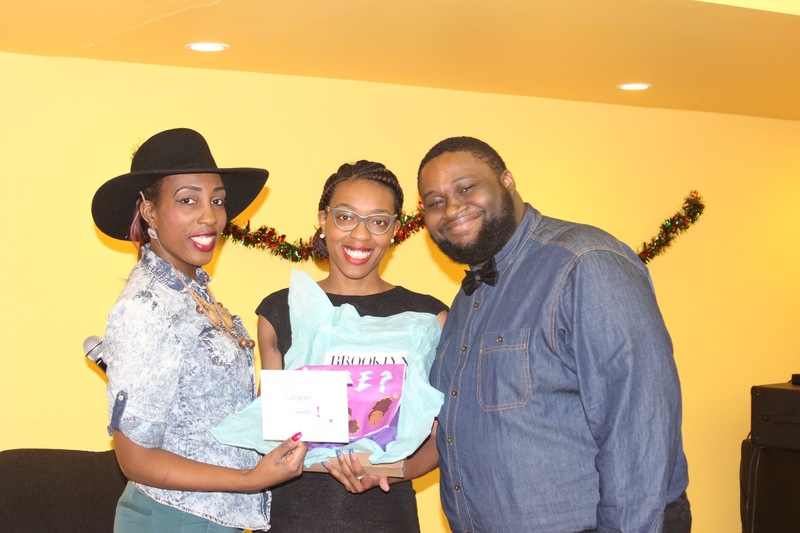 Our raffle prize sponsors were; Asha Boston (creator of The Dinner Table Documentary) who provided two boxes with a “Can I Live” tshirt, magazine, and beauty product. 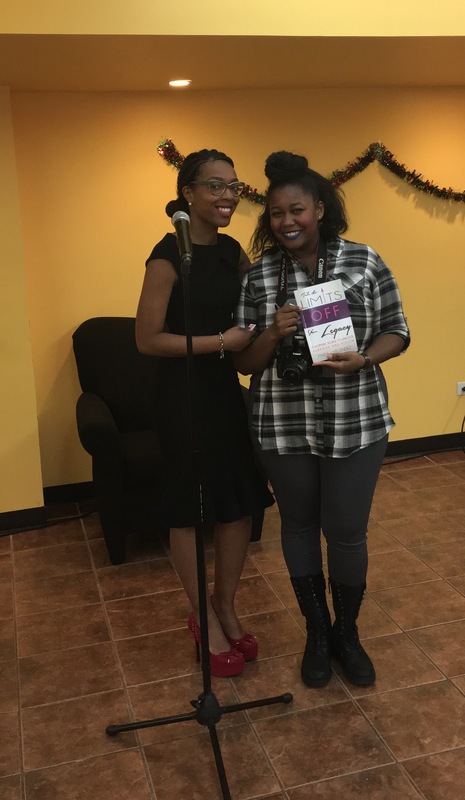 Author and founder of Embrace Her Legacy, Maria L. Melendez donated a copy of her book, Take the Limits Off your Legacy. 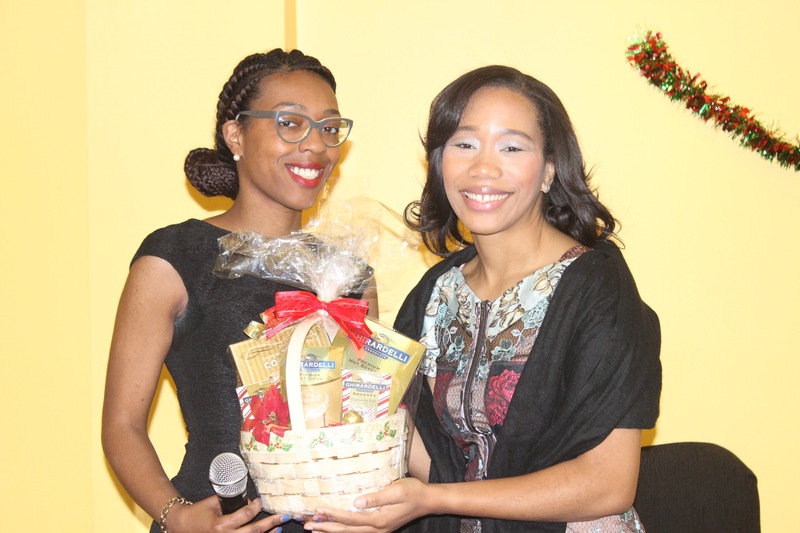 Jennifer Johnson, creator/founder of Campus Essentials donated a specially made holiday basket. We would like to thank all of those who were in attendance, your presence was greatly appreciated. We would also like to thanks all of those who couldn’t attend, but donated to fund. Without you and our sponsors, the day would not have been possible. Powerful things take place with determination and when we link up together. We appreciate you all! To view all of the pictures, taken by our lovely photography sponsor Lesli Storm, click here! beautiful! congrats on a successful event! All attached documents, songs, or related compositions associated with this email are hereby owned by the sender (Olivia Gilmore). The attached materials are my unique expressions and thus are subject to the protection of the U.S. Copyright Act, 17 U.S.C. § 101 et seq. Undisclosed and/or unauthorized copying/alteration of said materials will constitute violations of my distribution, duplication, and derivation rights. Any violators of these conditions will be subject to suit for infringement. This message will serve as proof of access in a court of law.